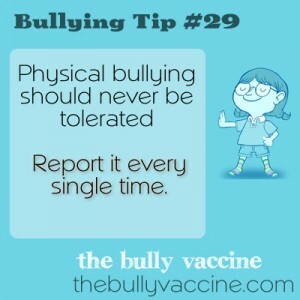 Physical bullying should never be tolerated. Report it every single time. 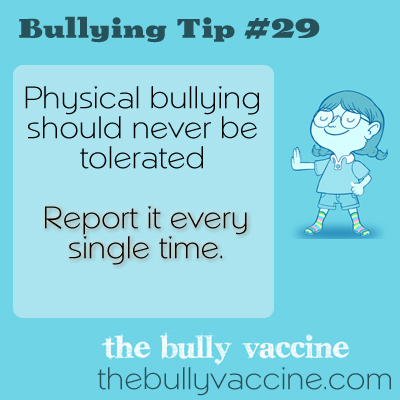 Physical bullying is serious crime and should not be tolerated. If it happened to an adult, we would not call it bullying and we would get the police involved.